In previous post we’ve covered 7 ways to shutdown / restart your Windows 10 computer. However, if those are not simple or quick enough for you, you can create a shutdown / restart shortcut on your desktop. 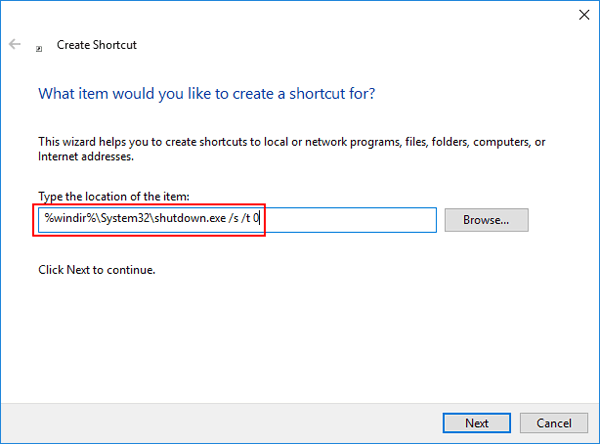 The following tutorial will walk you through the steps of creating a shortcut to shutdown / restart Windows 10 more quickly. 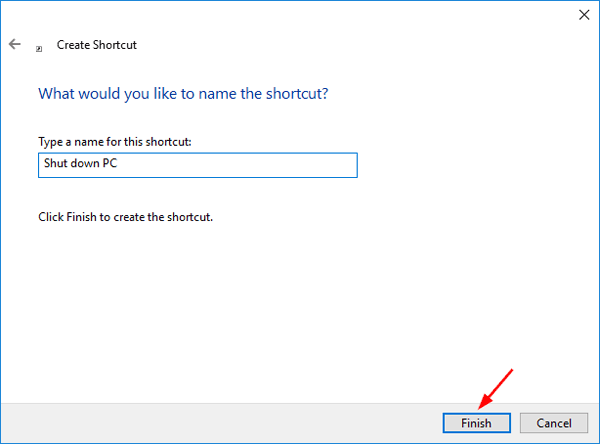 How to Create Shortcut to Shutdown / Restart Windows 10? 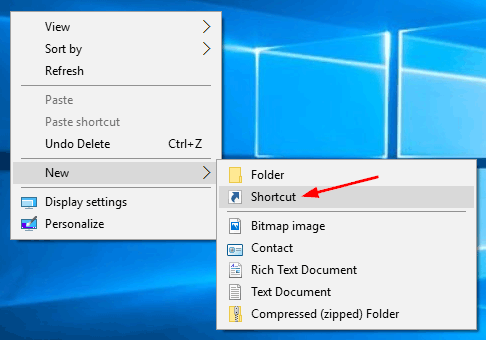 Right-click any empty space on the desktop, select New and then Shortcut from the context menu. When the Create Shortcut wizard appears, copy and paste one of following commands in the location box and click Next. You’ll be asked to name the shortcut. I suggest you name the shortcut to correspond to the action it will perform. When you’ve clicked Finish on the above dialog, you’ll see a shortcut on the desktop. You can double-click it to immediately shut down or restart your computer.